– The Letters Enamel Pin has a width of approx 2 Inch and a height of approx. 0.3 and two rubber clutches on the back. 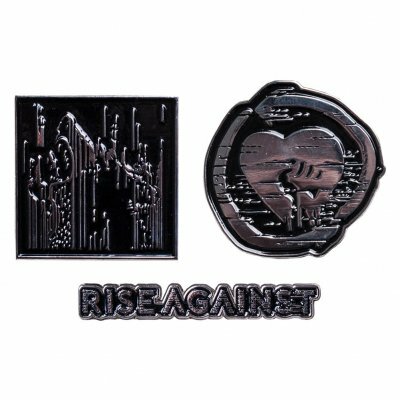 – The new Heartfist Enamel Pin based on the Wolves artworks. It is approx. 1.6 Inch in diameter. – The Static Wolf Pin has a dimension of 1.5×1.5 Inch and two rubber clutches on the back.